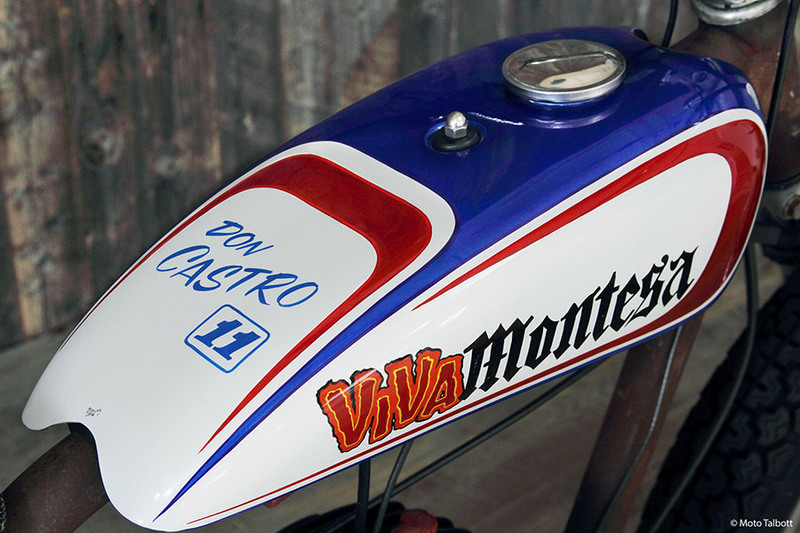 racing, and Castro most famously won the ’73 San Jose Half Mile, leading from start to finish. As the story goes, in ’72 he had his van and all his equipment stolen, and the bike you see here was an impromptu replacement—there wasn’t time to plate or paint the frame! 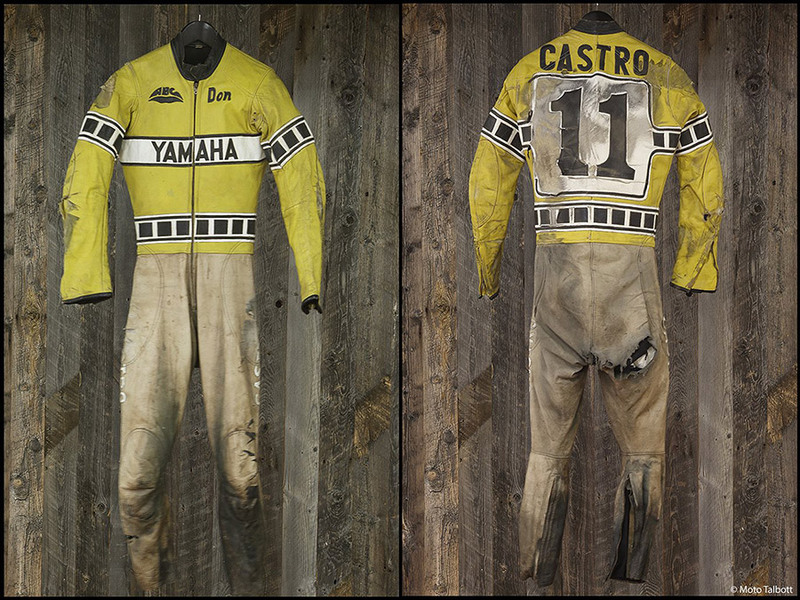 The leathers are from a 150-mph highside crash that “almost tore my leg off,” says Castro, who retired in ’76. Just a few months later, he was back racing!